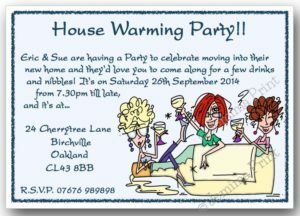 The standard wording on this design is ‘Housewarming Party! 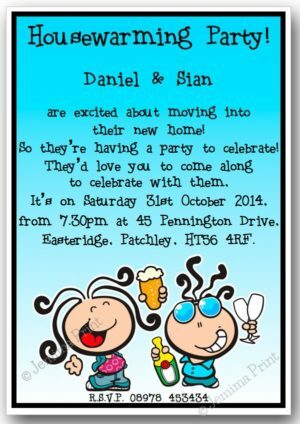 (Names) are having a housewarming party at (address) on (date) from (time) ’til late! 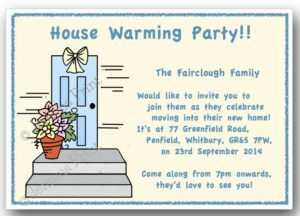 They’d love you to come along. 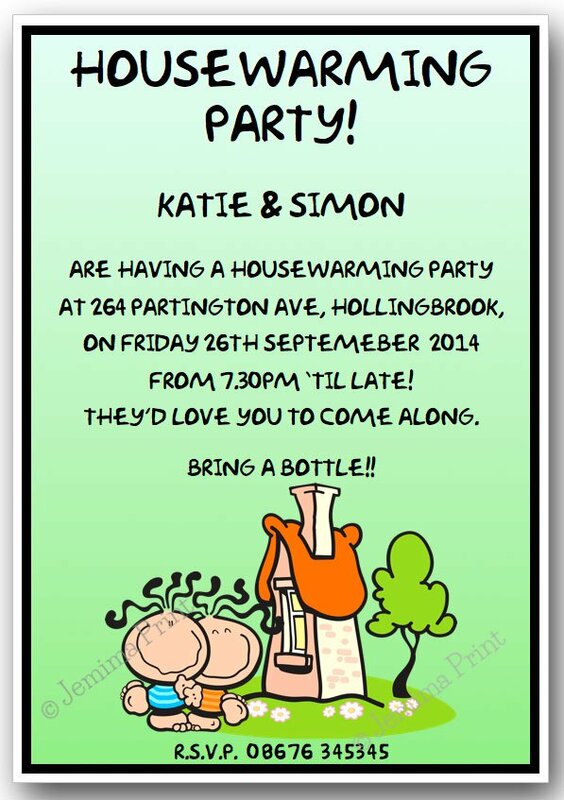 Bring a bottle!! R.S.V.P. (phone number).